Ask one hundred gut specialists what is the best diet for SIBO, and you’ll get more than one hundred answers. If you have SIBO (small intestine bacterial overgrowth), you’re probably confused and frustrated about all the different guidelines for the best healing diet. Should you do low FODMAP? SCD (specific carbohydrate diet)? Paleo? Why is there so much conflicting information?! There isn’t a direct answer about the best diet for SIBO, which is why it’s so confusing. The answer depends on your body and your gut bacteria. If you have SIBO, there are anaerobic bacteria living in your small intestine where they don’t belong, and guess what? They have preferences on which starches and fibers they like to eat! The more they’re feasting on the carbs you’re eating, the worse you feel: gas, bloating, abdominal pain. Your healing diet will look a lot different than someone else’s based on the strains and levels of SIBO bacteria present. That’s why there’s not a one size fits all template. Even though there’s no clear answer on the best SIBO diet, there are guidelines you can use to make your diet work for you while treating and healing from SIBO. 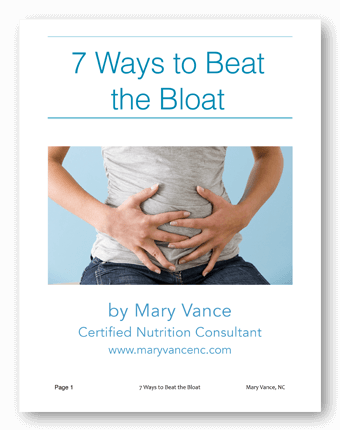 I share these tips with all my SIBO clients. 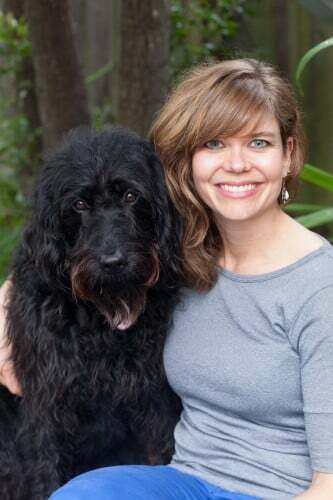 First off, if you’ve landed on this post, you are likely familiar with SIBO, but please read my article about it here. There is a VERY specific healing protocol for SIBO, which is notoriously difficult to treat, and if the protocol is not followed, the treatments don’t work. So it’s super important to work with a skilled practitioner (HINT: if you don’t hear your practitioner mention anything about a prokinetic agent, run away) who can guide you based on your symptoms, test results, and history. Diet alone will not eradicate SIBO, so you’ll need herbs, antibiotics, or both, followed by a specific diet and a gut healing protocol. There are several different diets used to treat SIBO. The tricky issue with diet and SIBO is that any carbohydrate is fair game for a delicious and fermentable meal by the bacteria that are living in your small intestine, and that means uncomfortable gas and bloating for you when they are feasting. One person’s trigger food may be another’s well tolerated food. It depends on the type of bacteria, where they’re located, the extent of damage in the gut and small intestine, enzyme and hydrochloric acid production, or if the person has any other underlying conditions (such as histamine intolerance). There are several different diet templates from which to choose. Depending on the person’s symptoms, health history, test results, and ability to be compliant, I’ll recommend a particular diet and have them be as strict as possible for 2-3 weeks with the hope that their symptoms will decrease. I recommend starting out more restrictive and following the plan to a T, then once some time passes with great improvement and symptom reduction, I’ll have them begin to add foods they particularly miss one by one. If their symptoms flare, we know to avoid that food. And that’s how your customize. There are specific foods with which most SIBO people have trouble: garlic, onions, apple, raw foods/salad, legumes, certain nuts, potatoes/sweet potatoes, dairy. Coconut products and avocado seem to be a gray area: Some people are fine with these, and they really bother others. White rice seems to be OK for most because it’s had the fiber stripped from it. I especially recommend white rice to those who are trying to gain weight or prevent losing more weight. SIBO diets work because they exclude the starches that irritate a damaged small intestine. The SIBO bacteria damage the brush border enzymes in the small intestine, so digestion is compromised, causing carbohydrate malabsorption. Some of these diets were developed specifically for SIBO; others (like the low FODMAP diet) were not. A word about timing: SIBO treatment begins with an antibiotic, herbs, or elemental diet to kill the bacteria. Upon starting, if the person is NOT doing any type of special diet, I usually have them wait until after their antibiotic or anti-microbial treatment before starting SIBO-specific healing diets UNLESS they have severe bloating or symptoms that interfere with their lives day to day. Then I’ll have them start the diet sooner. Often during the herbal or antibiotic treatment I’ll just tell them to avoid the foods that seem to irritate SIBO people the most, like garlic, onion, and apple. Once the kill phase is complete and the person has retested to make sure SIBO is gone, the diet I recommend most often is a combo SCD and low FODMAP diet. This diet was developed by SIBO expert Dr. Alison Siebecker. It excludes the more fermentable carbohydrate starches that irritate the small intestine. It’s based in part on the specific carbohydrate diet. It’s fairly restrictive and low carb because the higher starch veggies like potatoes and root vegetables seem to be the most problematic for people. You can download the chart here. I have people avoid the foods in the red and orange columns initially, then diversify from there once they feel better. I have the most success using this diet. The other one people use most frequently is plain ole low FODMAP. This diet wasn’t developed specifically for SIBO, however. It excludes the carbs that are poorly absorbed in the small intestine and was originally designed for IBS. FODMAPs include fermentable carbs like oligosaccharides, disaccharides, monosaccharides, and polyols. The FODMAPs are most likely to be fermented by gut bacteria and are also highly osmotic, meaning that they attract water into the large bowel, which can alter how quickly the bowels move (constipation or diarrhea). People get super confused with low FODMAP diets because there seems to be conflicting info on which foods contain FODMAP starches. You can use an app like the Monash University app to help you. But even foods that contain FODMAPs may be tolerated in small quantities, so again, it depends on the person. Then there are other diets that I don’t use as often: the Fast Track Diet and the Cedars Sinai diet developed by Dr Mark Pimentel. The Cedars Sinai is probably the least strict. Some people find relief with the GAPS diet, which I find useful for SIBO along with mood disorders. SCD may also work well, especially for chronic diarrhea. Pick a diet and follow it as strictly as possible. If you don’t see at least some or any improvement after 2-3 weeks, try another. I use the SCD/low FODMAP diet for nearly all my SIBO clients to start, and we customize it based on their willingness and symptoms. These diets are so strict that people become easily overwhelmed, so the trick is to pick something that works AND that you can stick to. Customize your diet to include carbs you can tolerate and exclude those that irritate you for now. Any vegetable that doesn’t aggravate your symptoms is OK. I always have my SIBO people avoid gluten and dairy because they’re gut irritants. Fermented foods: many SIBO people have trouble with ferments. They feed the bacteria in the small intestine. I recommend avoiding them during the kill phase, then you can introduce them after a month or so on your healing diet IF they don’t cause symptoms. There are other factors to keep in mind too: do you want to lose or gain weight? How many carbs do you need to feel good? Going too low carb can cause people to crash. 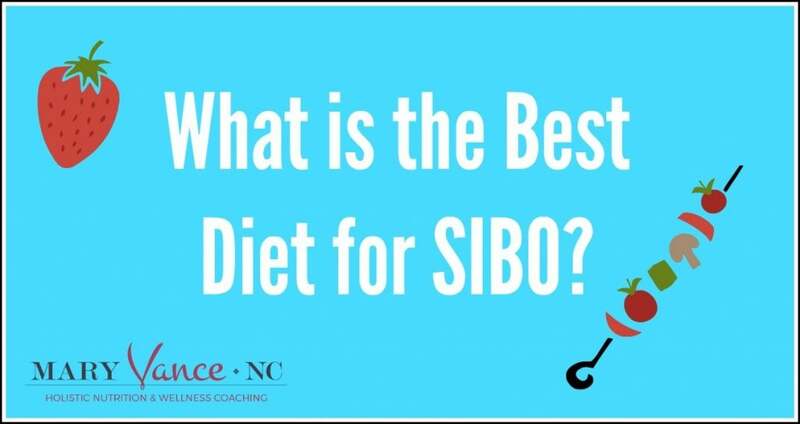 How Long Should I Do the SIBO Diet? The next big question after which SIBO diet should I follow is “how long?” I usually say 2-3 months to start, then we reassess. I will say that one of the biggest mistakes I see is people doing low FODMAP diets or super restrictive diets for 6 months to a year or more. 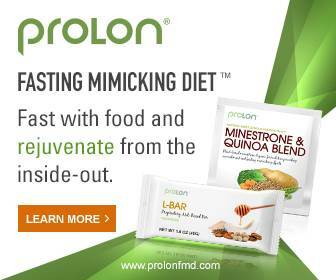 I strongly caution against this, because you can seriously damage your microbiome by restricting carbs for that long. Limiting FODMAPs starves your good probiotic bacteria because you’re removing the prebiotic starches they feed on. So these diets can be murder for all the good probiotics in your gut. However, I understand the conundrum, because the small intestine can take months to heal, making it hard to tolerate more carbs. The solution is to reintroduce foods slowly, and slowly add in probiotics and fermented foods. 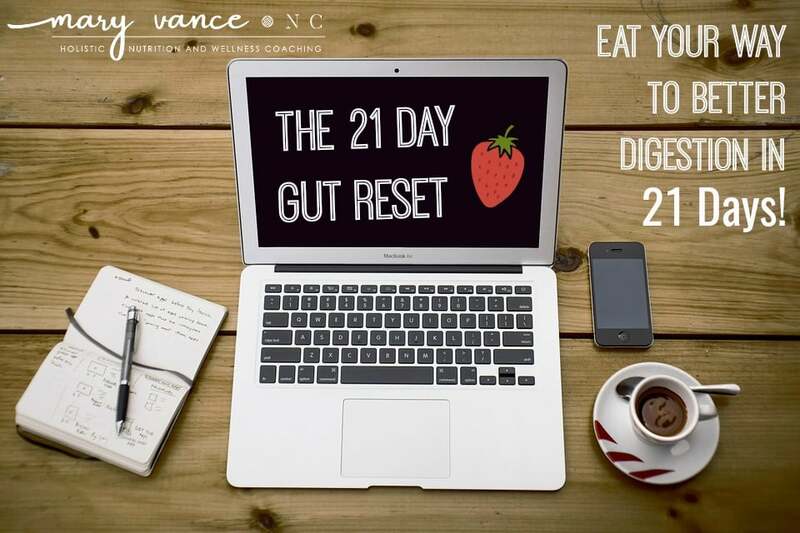 It can take 6 months to a year or more to fully heal the gut. You’ll also want to add nutrients like zinc and glutamine to speed gut healing. I also always recommend a stool test because there may be candida or other gut issues present that need to be addressed and can cause symptoms to linger. SIBO is a tough one to treat. You want to make sure you follow your herbal or antibiotic treatment with a prokinetic to prevent recurrence. In my experience bloating is often the symptom that lingers, and that can be helped with enzymes, prokinetics, and even activated charcoal occasionally. Please do work with a professional to help you. Hopefully he/she will give you plenty of pep talks along the way. There are also wonderful communities on facebook for support. Please share your SIBO diet successes! In your experience, after SIBO has been eradicated, does one need to continue to take a prokinetic indefinitely? Or is this something that can be taken for a period of time and then function should return to normal? Do you have any herbal “antibiotic” regimen for SIBO? I’m newly diagnosed SIBO patient. You said to avoid first two columns, on the chart that’s the legal low fodmaps.. ? it should read to avoid the red and orange columns. Im confused, should i start the diet WITH or AFTER the antibiotics? ???? Hi Emma, there isn’t a definitive answer for that question. It depends on how bad your symptoms are. You can typically follow a general anti-inflammatory diet during the antibiotic phase, but you don’t have to change your diet drastically at that point unless you have unbearable symptoms, in which case you can avoid the highest FODMAP foods and try to figure out your trigger foods for relief. Then you refine the diet in the gut healing phase. Thank you for this articel.I just wonder one thing since am struggling a lot with sibo a candida.How does someone incoprate a balanced diet during the scd low fodmap phase. A low fodmap serving of any food is under a 150 calories and i can’t eat rice cause of candida in other words I must eat fatty meat in order to get the calories and with already inflamed intestines it’s not working so well for me. Another thing is that if i eat the same meat more than twice a day my immune system reacts to it due to a leaky gut. What prokinetic do you recommend for someone who tends toward diarrhea? Anne, usually Iberogast, or if you’re working with a naturopath or dr, there are prescription pro-kinetics available also. Andrej, I’m not sure I understand your question, esp when you mention a low FODMAP serving is under 150 calories? That’s not correct. FODMAPs aren’t based on calories. Hi Nora, unfortunately you can’t do much during pregnancy except try and keep symptoms at bay by avoiding trigger foods, but you even have to be careful there to make sure you’re not cutting calories. You can’t take any of the herbs or meds until you finish breastfeeding. If you can tolerate a probiotic, that would be a smart choice for baby’s microbiome (the basis of their immune system). saccharomyces boulardii helps with diarrhea. 105 pounds. I have added more white rice to try not to lose more weight. Any suggestions? I was under the assumption that most sibo patients have a hard time losing weight. Also, when should I add the iberogast? Hi Lisa, it’s quite common to lose weight on such restricted diets. You can eat any of the starches that don’t cause symptoms (potatoes, sweet potatoes). Increase fat to gain weight (it’s the most calorie dense macronutrient): avocados, full fat coconut milk if they work (some SIBO people can’t tolerate those 2). Gluten free bread (like Bread Srsly) and kerrygold butter can work too. I have Sibo for 5 years. I feel terrible within 30 fun. what I eat. for 2 to 4 hours. on low fodmap diet. my gastroenterologist had me take Xifaxan and told me to go to Whole Foods store. and ask clerk what probiotic to take . I took Natren Megadolpulus and for very ill. then my acupuncturist gave me Panaexa which made me feel sedated but much increase GI. symptoms. Where to go next? Hi Ann, it sounds like you would benefit from working with a practitioner to guide you. It’s difficult if not impossible to make quick recommendations for anyone with SIBO because each case it so different.